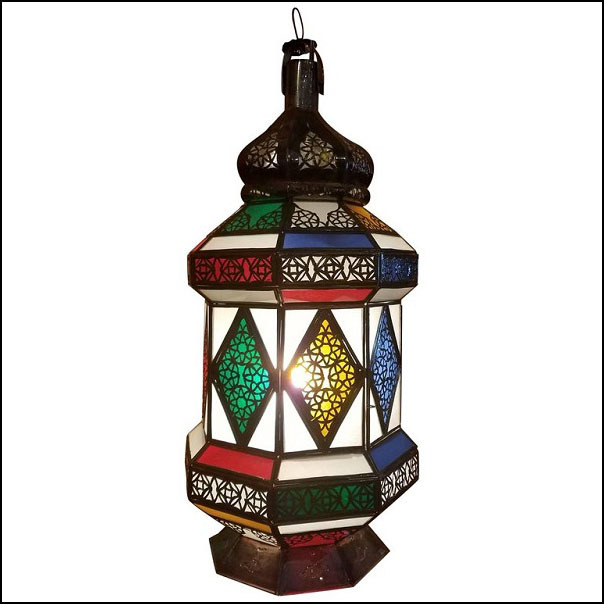 Large size Moroccan flat bottom multicolor glass lantern, Winter style on a copper stained frame, measuring approximately 27″ in height and 11″ in width. Four available in stock. Such an elegant piece that casts beautiful shadows around your entire room. Must see to appreciate..Please contact us for a shipping quote or if you have any questions.